The next STS adventure begins September 5th 2017 with the 6 Week STS Challenge. Over the course of 6 weeks, we will guide you through breath work, mindfulness, and functional training to get you in the best shape of your life! 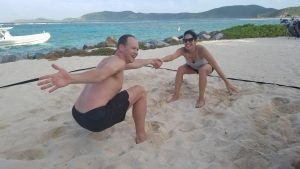 But before the challenge begins, we invite you to attend a sunset meet and greet work out with co-founders Jackie and Mark. There will be merchandise giveaways, healthy juices and snacks, and, of course, a great work out.